artesunate (available only through the CDC). The choice of drug depends on the species of Plasmodium and the risk of drug resistance in the area where the malaria was acquired. In sub-Saharan Africa, for example, older drugs like chloroquine are largely ineffective. Most medications are available only as tablets or pills. Intravenous treatment with quinidine may be needed in severe malaria or when the patient cannot take oral medications. 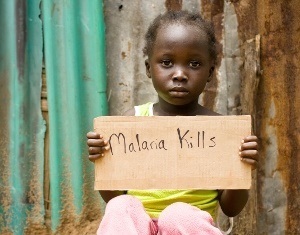 Malaria during pregnancy requires treatment by someone who is an expert in this area. Miscarriage and maternal death may occur, even in the best of hands. Patients with P. vivax or P. ovale may not be completely cured by the above medications, even though the symptoms resolve. This is because the parasites can hide in the liver. A medication called primaquine is used to eradicate the liver form, but this drug cannot be given to people who are deficient in an enzyme called G6PD.